NEW YORK--(BUSINESS WIRE)-- This fall, American Eagle Outfitters (NYSE: AEO) celebrates its 40th anniversary and looks to the future with AE Studio, a remodel of AE’s store in a premiere location in NYC’s vibrant Union Square neighborhood. 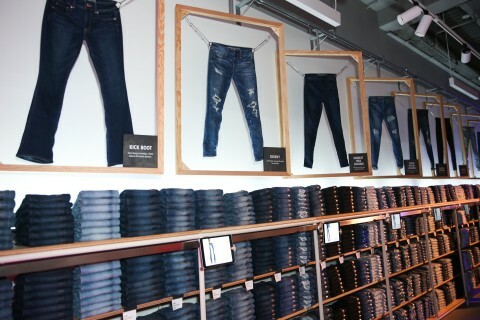 Opening November 10, AE Jeans will be a focal point of the studio’s first floor Jeans Gallery, where customers can engage in a unique and experiential shopping environment featuring AE’s leading collections. This includes an exclusive collaboration with Atelier & Repairs, an assortment of customized denim and apparel repurposed from AE’s previous collections. The creative atmosphere is meant to inspire community and collaboration.